Fixing the problem of polluted air in our towns and cities needs much more than the promise of a ban by 2040, by which time hundreds of thousands of people will have died from causes related to polluted air. 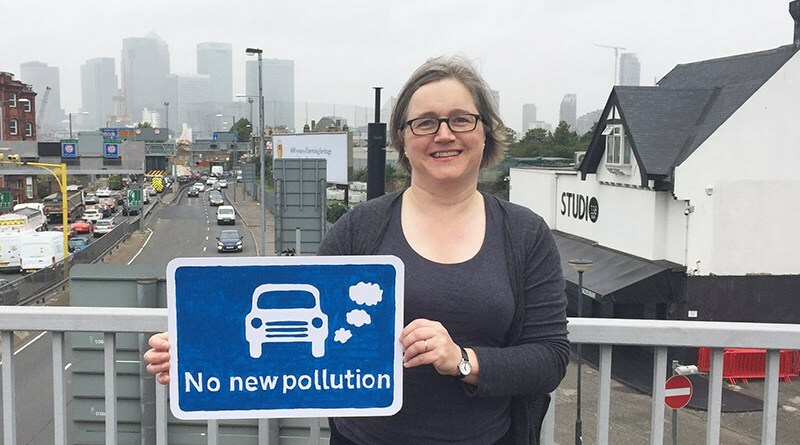 We need clean air zones in our urban centres and measures to help us all switch to clean public transport and walking and cycling for our everyday journeys. Beyond climate change, we face a combined pollution and inactivity public health emergency. This needs the imagination to see beyond car use as the main way to get around. We know diesel and petrol are poisoning our air but switching to electric cars is just not going to make the difference needed to clean up our air and let people trust the air we breathe. We will still be left with street-clogging congestion, lethal pm 2.5 particle pollution and the misery of road danger. The govt should be investing in rail electrification, electric buses and networks of safe routes for walking and cycling. The important thing is not diesel scrappage for individuals but providing affordable access to work, education, health care and the shops. If the government had any imagination they would see the unmitigated disaster of air pollution as an opportunity to rid our towns cities and villages of the problems of congestion, parking and noise while improving people’s health and cutting NHS costs. The car manufacturers had better start making electric bikes.